Apple’s iPhone is a marvelous product, and since the day it was released, it has been changing people’s lives. However, it’s quite difficult to change or get your iPhone ringtones replaced with something that you like. Apple has always been very limited about the features it’s products have and one of them is the ability to change ringtones on the iPhone. If you’re a regular user, you’d be stuck with the stock ringtones that come with the device. But, today we’ll be telling you how to get more ringtones and use them on your iPhone. Before we begin, you should remember that downloading iPhone ringtonesand transferring them to your device isn’t as easy on other mobile devices. You will need iTunes installed on your computer and it should be synced with your iPhone, only then can you transfer the ringtone. 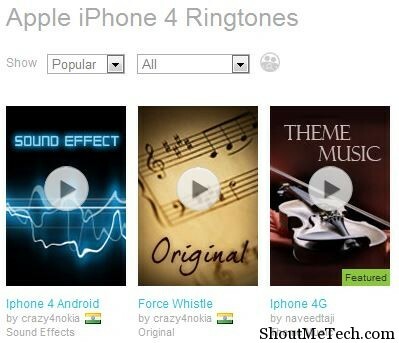 Now let’s start with the list of 6 best websites to download iPhone ringtones for free. There are many such websites out there, but we’ll be only telling about the ones that we believe are the best. We’ll start with the best one that we recommend and end with the one that you just might want to know. A great site that lets you browse through all it’s collection of cool and hip ringtones for the iPhone. Download them from the website for free, without any catches. 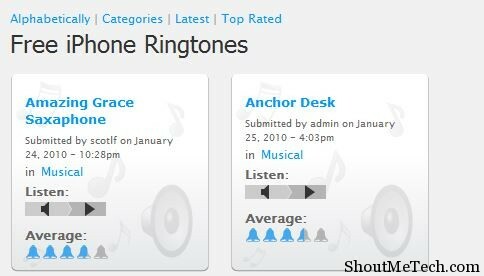 However, if you want to create your own ringtone, then you need to sign up, which hardly takes 5 mins. Try iPhoneRingtones here. They also have collections for amazing iPhone wallpapers. Another famous website, like Zedge, that has ringtones, wallpapers, games and themes for more than the iPhone. Of course, it doesn’t have themes or games for the iPhone, but you’ll surely find some good ringtones that you can download for free. No need to become a member, just head over to the site, select your device and start downloading. Try Mobile9. A website that is mainly focused on creating custom ringtones for the user, but also has a vast collection of them available for download. It’s easy to create a ringtone with this website. You can download the ringtones in m4r format as well, for the iPhone. Try MadRingtones. There are other ways to do it, but then you’d require a jailbroken iPhone. There are apps that can directly transfer files to your device via Wi-Fi, such as iFile. 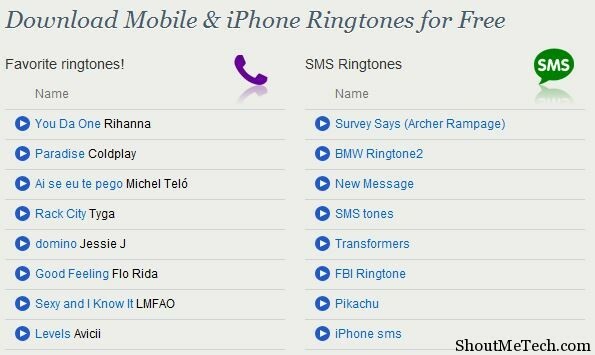 Those are the best websites that offer free iPhone ringtones that will help you customize the sounds on your device. Try them out and tell us which one you liked the best. We believe it will be Audiko!